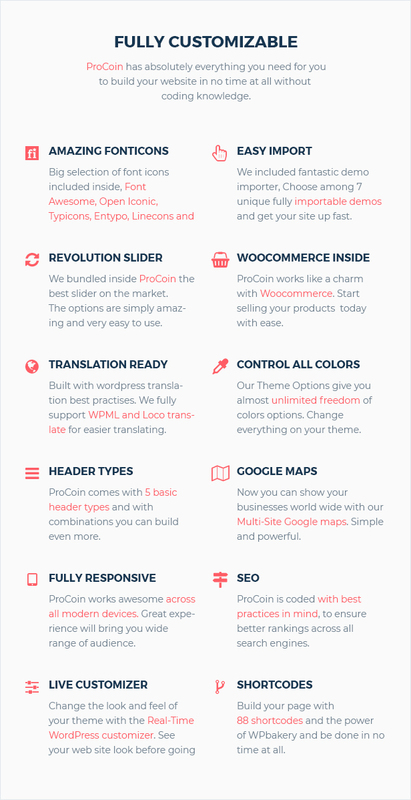 ProCoin is a WordPress ICO and Cryptocurrency WordPress theme. 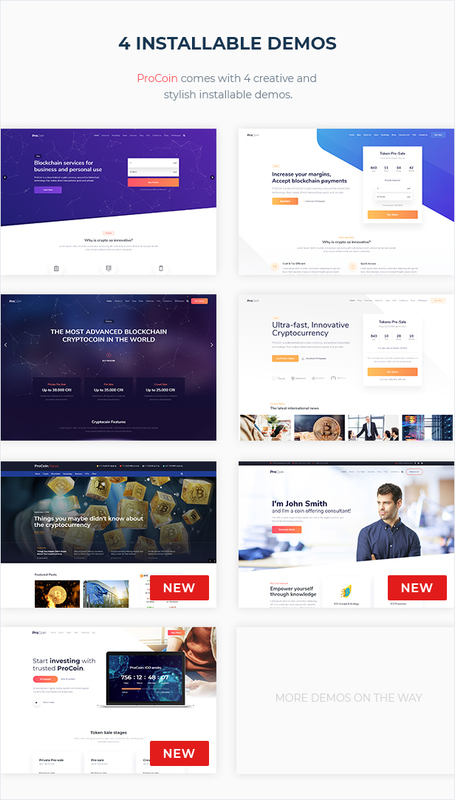 The theme works perfectly for any crypto related business. 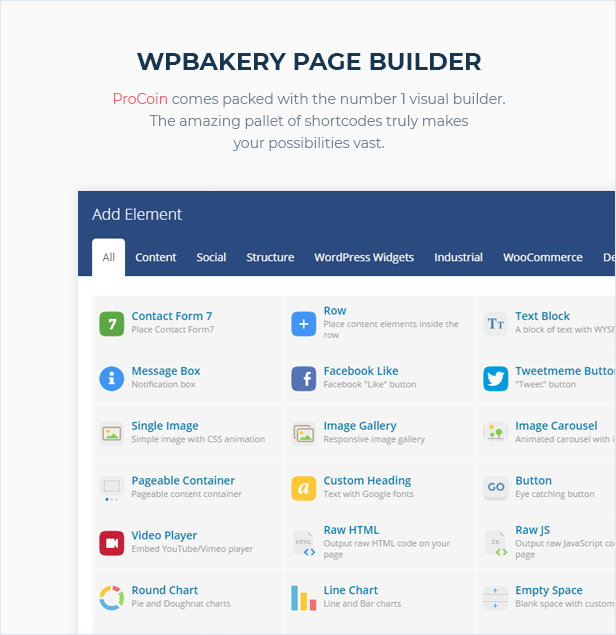 We included WPBakery Page Builder (formerly Visual Composer), Revolution slider, WooCommerce support and an advanced admin panel. You can set unlimited colors and create unlimited layouts. 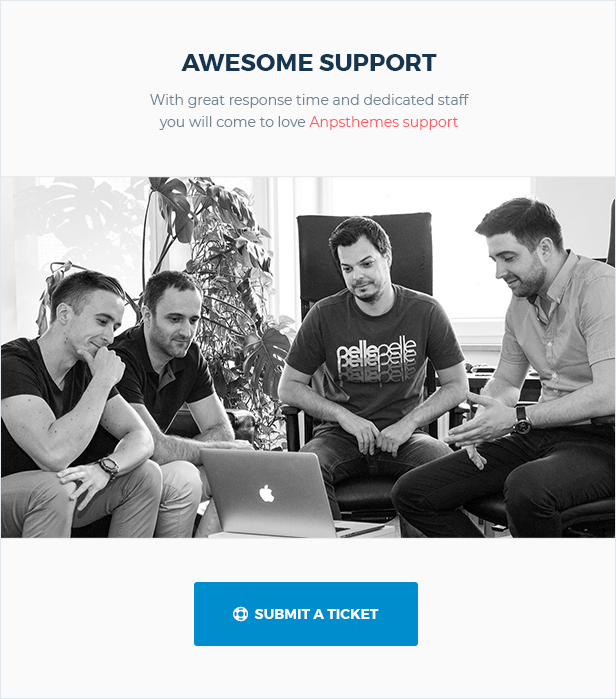 With all those features and our excellent support, you just cannot go wrong. 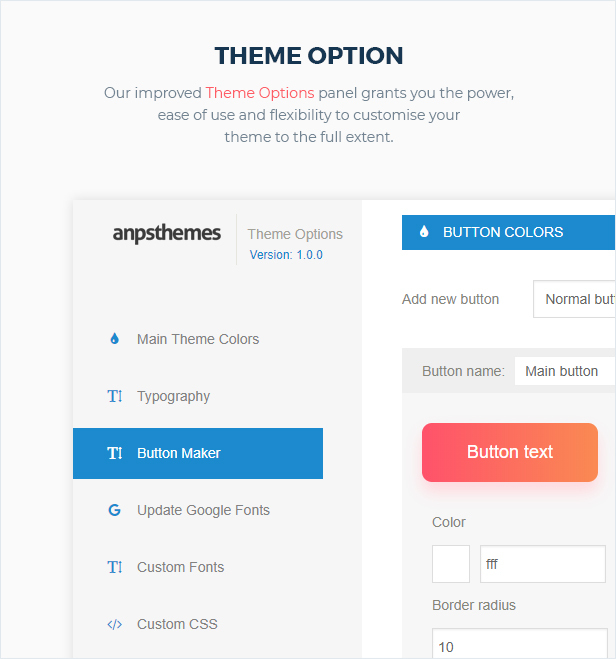 Building your perfect WordPress theme will be a a joy, why search further, get it now! In ProCoin you are basically one click away to fully functional demo with all the sliders and widgets, no additional imports required. We included the best e-commerce platform for WordPress. Now you can start selling your products with ease. Get your products online with ProCoin now!